Ambergris Caye, Belize, November 17, 2016	(Newswire.com) - A few weeks ago, the Belize Tourism Board was thrilled to announce a new airline was added to Belize’s travel route. Guess which Airline it was. October 8, 2016, right after the sun came up; the Canadian based airline WestJet officially confirmed and announced that they will be offering direct flights from Canada to Belize. In fact, its flights were scheduled two days every week. This new route connects Canada to Belize via a direct flight from the Canada’s largest hub, Toronto. Canada has long been reported to be a major source of Belize’s overnight visitors and there is no doubt that this additional flight can boost the number of Canadian visitors. The news spread all over the world and that enticed a lot of people from Canada and Belize. In fact, the tourism director of Belize, Karen Bevans, was very excited since they had been in lengthy discussions with WestJet Airlines for several years. They talked about having a direct flight from Canada to Belize and they were glad that this is now a reality. This direct flight has been highly requested by many visitors especially especially tourism stakeholders. What entices people to embark on the direct flight from Canada to Belize? For Canadian travelers is provides a more direct and ‘local’ means to get to Belize. For Belizeans, it means a new country to explore via direct flights. In both cases, the previous obligatory transient stop at a US hub is no longer needed. According to The San Pedro Sun, more tourism in Belize also means more jobs for their residents as the demand increases. Hotel and resorts like Mahogany Bay by Hilton Worldwide and other beach resorts offer the best of both local cuisines and international cuisines. They were all satisfied with the new Canadian airline’s entry into their market. In fact, all business in Belize shared the same response. They were all prepared to pamper their new visitors from Canada with the best treatment their country has, hospitality. Finally the wait was over for all of them. The first ever inaugural flight of WestJet Airlines from Canada to Belize happened on October 29, 2016. Stakeholders share that Belize welcomed 130 Canadian passengers on the first flight. All inbound and outbound Canadian passengers received souvenirs to celebrate this historic event in Belize. Philip SW Goldson International Airport was used to conduct a short ceremony. They gathered all of the important people of Belize in the ceremony together with the big bosses on the airport and passengers. The flight from Canada to Belize is scheduled every Wednesday and Saturday. Tourists can enjoy the direct flight from Pearson International Airport, Toronto to Philip SW Goldson International Airport, Belize. The Belize Tourism Board encourages tourists to start planning now to fly from Canada to sunny Belize as winter approaches. 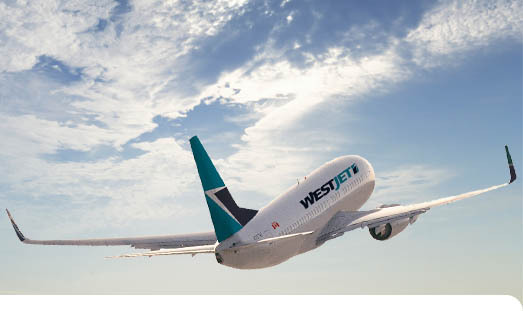 WestJet Airlines will be waiting with first-class service and flights.